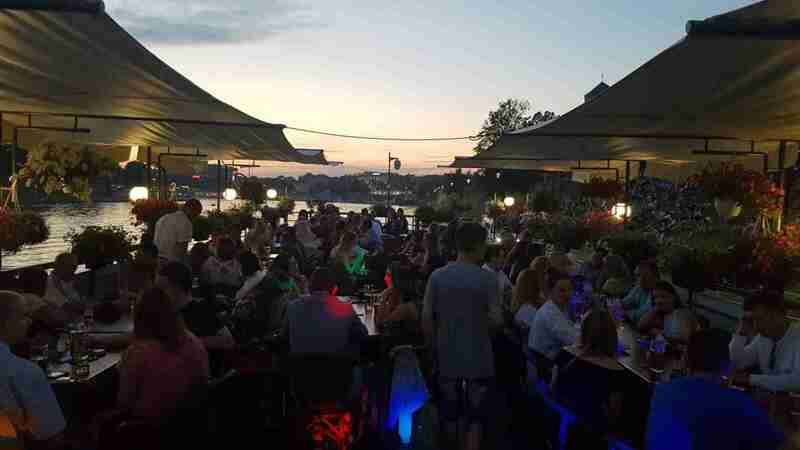 Are you looking for a restaurant on the water in Krakow? Visit us! 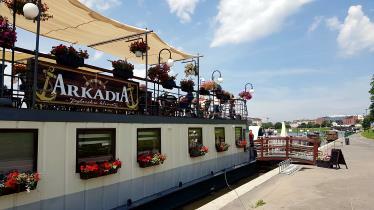 Barka Arkadia Restaurant is located in the very center of Krakow, at the foot of Wawel. 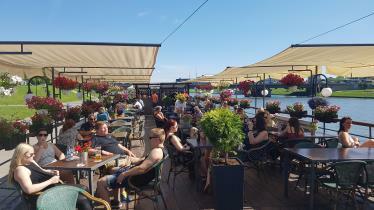 It's a great place where you can rest from the exciting sightseeing of Krakow, spend a pleasant evening with your other half or friends and organize an interesting party. Get away from the crowds of tourists and the city noise. Barka Arkadia is a quiet place by the Vistula River in Krakow. Best for a peaceful rest and organizing interesting events. You will rest here, gain energy and feel the sailing climate that will enchant you. Barka Arkadia consists of spacious upper and lower decks. 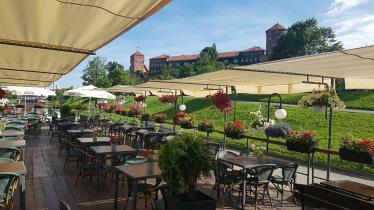 From the upper deck you will marvel at the Wawel Hill and the Vistula Bight, sipping aromatic coffee or a drink. 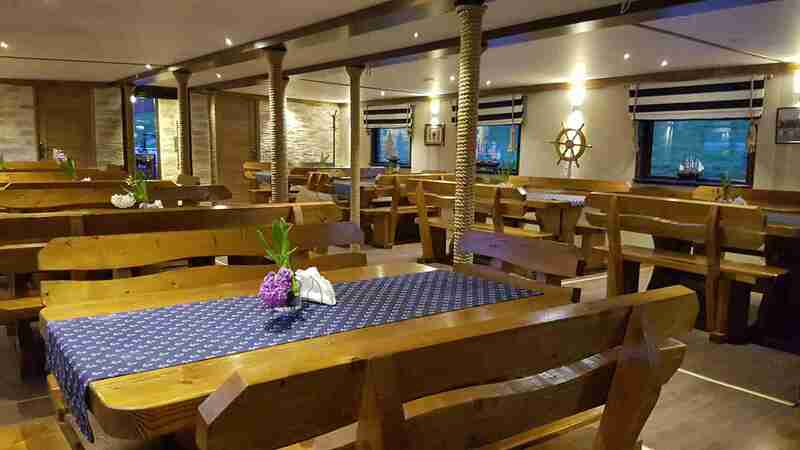 In the lower deck there is a restaurant and an air-conditioned play room. 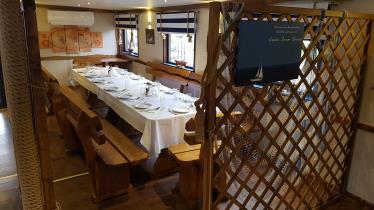 Tables for dozens of people, air-conditioning and a unique sailing atmosphere guarantee successful events! Try the regional cuisine. Have a rest with a cup of coffee. 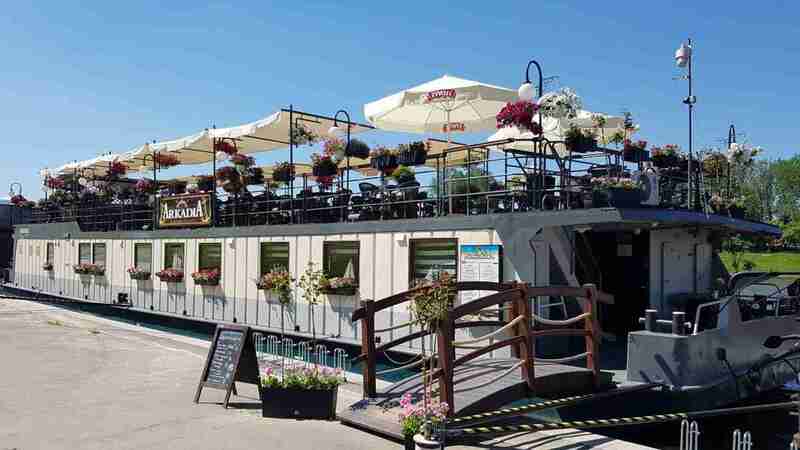 We serve the best snacks, drinks and Polish cuisine in our barge restaurant. Soothing background noise and aromatic flavours will definitely delight you. Barka Arkadia is the best stop when waiting for a water tram which runs regularly during the summer between Krakow and the Monastery in Tyniec. You will wait calmly in the comfort of the barge where you can enjoy a delicious coffee or use the drink-bar and enjoy the moment. Are you looking for additional attractions? 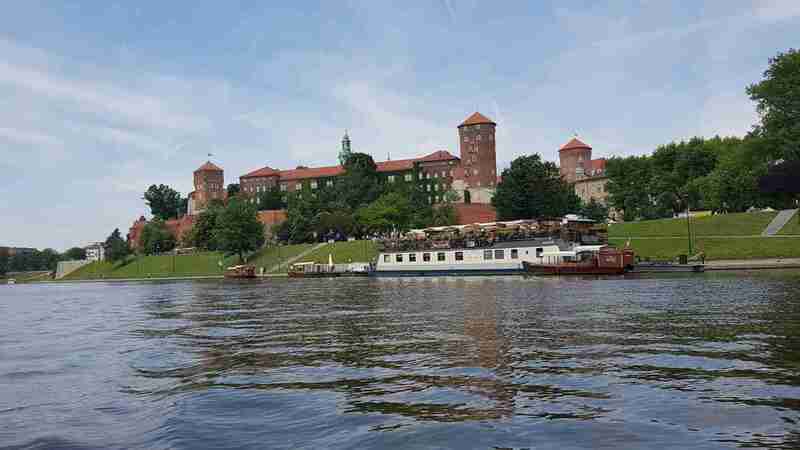 A cruise on a boat or gondolas on the Vistula River in Krakow is a great idea for an interesting visit to Krakow. We organize cruises on the route Kazimierz - Wawel - Monastery in Tyniec. We will make sure that your stay in Krakow is an extraordinary adventure!